Home Addons Boosting Your Sales and Marketing Productivity with PowerPack Add-ons Be the first to comment. 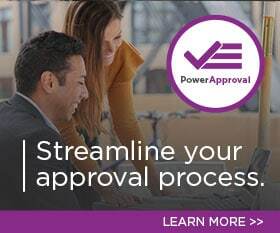 PowerObjects’ PowerPack add-ons are developed based on the needs and feedback from our customers, the PowerPack tools are not just simple customizations for sales force and marketing automation, but offer true features to help you get the most out of your Dynamics 365 investment. Get even greater sales and marketing functionality and productivity all for just $1-2 per user, per month. Learn more about a few of our favorite PowerPack add-ons and get a customer’s take on how add-ons have helped their marketing in the videos below! Use PowerSchedule to schedule service offerings, register contacts, and manage classes all from within Dynamics 365. Get a deeper dive into PowerSchedule in our On-Demand Webcast! With PowerMap you can choose an entity, choose a view, and plot all of the individual records from that view on one map in Dynamics 365. See an in-depth demo of PowerMap in our upcoming Live Webcast – register here. Use PowerChat to live chat and track conversations from visitors on your website within Dynamics 365. You can check out all the features of PowerChat is this On Demand Webcast. Birkie uses several PowerPack add-ons to assist with event management, participant and vendor communications, and for increased productivity. Read the full case study on Birkie’s success with Dynamics 365 and PowerPack add-ons here. Did you know you can try any of our PowerPack add-ons FREE for 30 days with no risk and no pressure to commit? There are no setup fees, no long-term contracts (simply month to month), and no credit card information required. Learn more and get started here. by Joe D365	August 15, 2018 Be the first to comment.